“I’ve spent hundreds of hours collecting poop from mice,” began doctoral student Jason Guss in his Three Minute Thesis (3MT) presentation on his research into the relationship between the gut microbiome and bone strength. Guss, a doctoral student in biomedical engineering, had three minutes to explain his complex research and its significance to a panel of student, faculty, and staff judges from units across campus. The non-specialist panel judged the presentations on their comprehension and clarity, engagement, and communication style. 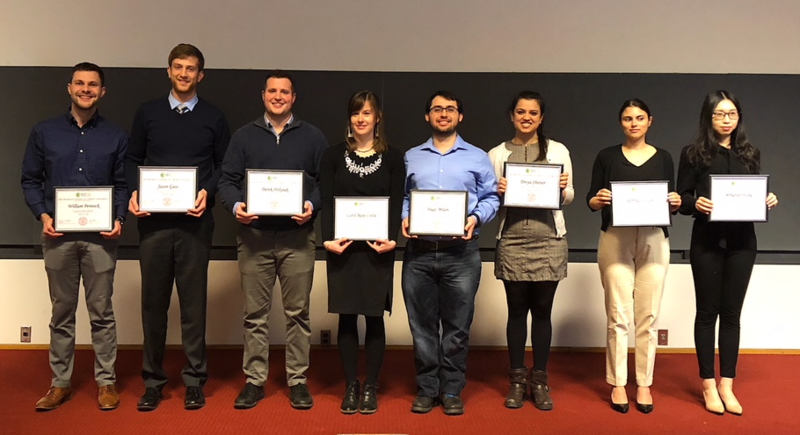 From the 17 students in the preliminary rounds, Guss was one of eight to make it to the final round of the Fourth Annual Three Minute Thesis Competition. The reaction from the audience and the combined scores of the six judges signaled Guss’s first place win of $1,500. Derek Holyoak, also a doctoral student in biomedical engineering, placed second, winning $1,000 for his presentation, “OA, No Way: A Simple Approach to Treat Osteoarthritis (OA).” The 150-member audience tied Holyoak and Guss for the $500 People’s Choice Award. The first 3MT competitions took place in 2008 as the University of Queensland. Since that time, over 600 graduate schools in 65 countries host competitions to celebrate the innovative research of their graduate students. Cornell’s Graduate School first hosted a 3MT competition in 2012. Since that time, the event has grown steadily. 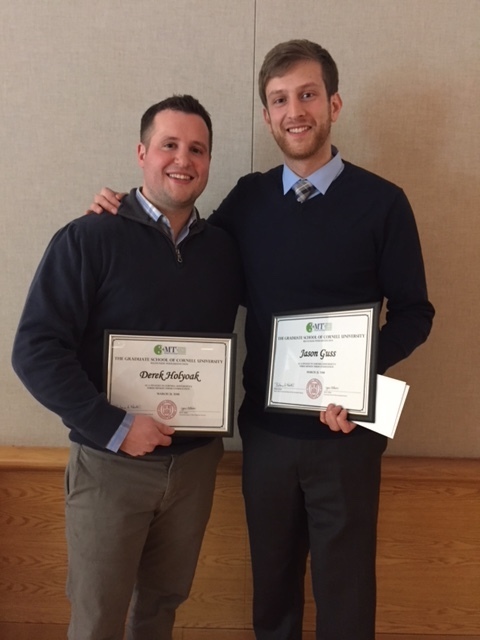 This year’s winners were invited to present for Cornell’s Board of Trustees.